This multistrand necklace is evocative of her more is more aesthetic. Apfel probably would pair it with an embroidered coat in primary colours, and arm loads of bangle bracelets. How you choose to style it is up to you – and part of the fun. 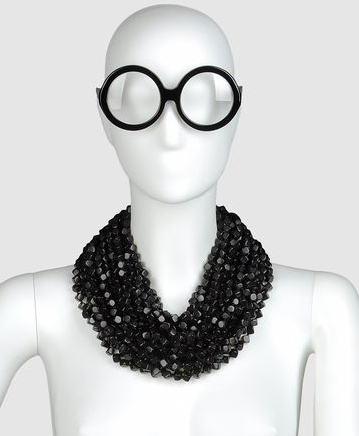 Yoox is also selling unsigned vintage pieces from Apfel’s personal collection. This fab necklace is currently on sale at Yoox, for USD $225 from $325.